Seasoned class Facebook page veterans once again shook their heads in dismay, raising their virtual flags at half mast to commemorate the money lost during the annual syllabus week scams. Hundreds, of FSU students, made purchases from strangers on Venmo this past week--and this time, it wasn’t for weed. 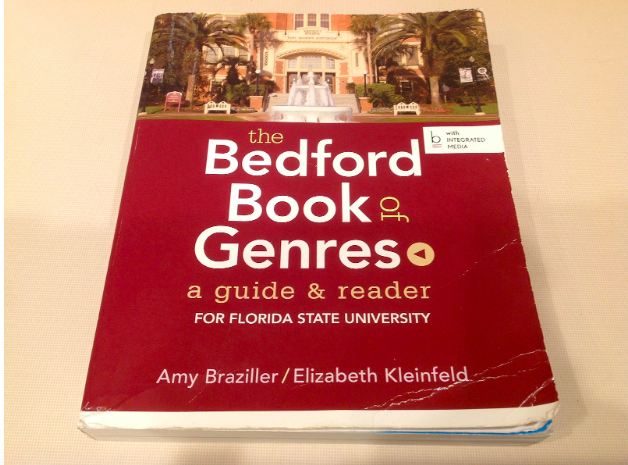 However, amongst the online exchange of goods and money that even Jeff Bezos was impressed by, a lone Bedford Book of Genres remained unclaimed, as freshmen passed on it, fearing the deeply unhappy grad student teaching their ENC2135 class would give two shits about them buying a brand new textbook for a crisp $73.50. This semester, instead of attempting voodoo magic to curse every professor who refuses to just scan the book pages into a PDF, consider those that your misery is funding. Whether your bargain-hunting or getting completely scammed by the FSU bookstore, remember that books need love too. Also, it’ll be at least $25 for any of the good stuff.